From age 3 through grade 12, all students experience and participate in the arts. Art and music instruction begin in Pre-K with band and strings added in Lower School. Once in Middle School, students may participate in drama and by the time they reach Upper School, our students are performing and creating at an advanced level with many opportunities to showcase their talents. Discover the joy of making music, engaging with and entertaining for others. By drawing a bow across the strings, your journey across cultures and times begins. There is nothing more wonderful than dramatic arts and live theatre education. A picture, at any age, is truly worth a thousand words. Sing out loud and share your talents for all to hear. 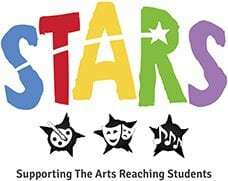 STARS is St. Andrew’s fine arts booster organization that aims to assist in the coordination and planning of artistic and fundraising events for the school. All of the things that STARS has helped us purchase over these past few years. The organization meets the first Tuesday of each month at 6:30 p.m. with a potluck meeting of the minds. For more information or if you would like to volunteer email us.